Last Updated: January 16, 2018 I’m a fan of using only the best products that Mother Nature has to offer. So, that’s why this article reveals my complete list of the best natural supplements for ADHD and depression that can help you tremendously. 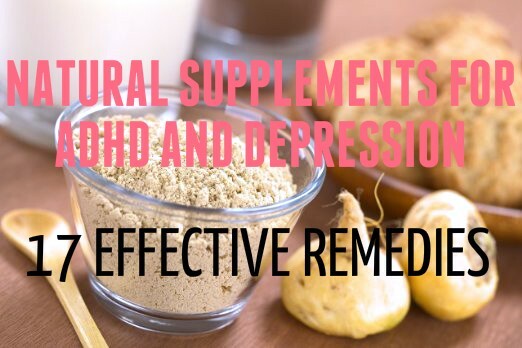 The following 17 natural supplements are some of the best remedies that I’ve used to treat my own ADHD and depression symptoms. 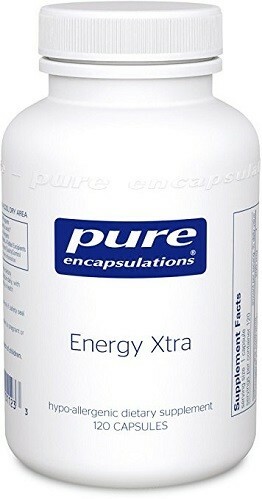 Pure Encapsulations Energy Xtra (Amazon) is one of the top supplements that I recommend for temporarily improving some of the issues that come with ADHD and depression. This supplement contains rhodiola, which is a unique adaptogenic herb that can improve your mental state, give you a burst of energy, and elevate your mood. Energy Xtra also contains Asian ginseng, ashwagandha, and eleuthero (Siberian ginseng). It’s an all-around excellent natural supplement for adults with ADHD, depression or anxiety-related issues. 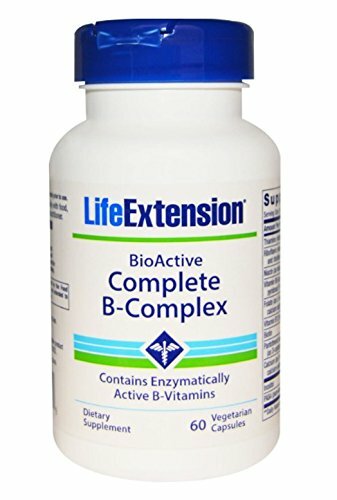 Life Extension BioActive Complete B Complex (Amazon) is a cost-effective and trusted solution for getting all of your most important b vitamins in an easy-to-swallow capsule form. I like that this product contains a form of vitamin B-12 called Methylcobalamin, which is considered the most potent form of vitamin B-12 found in nature. So, this Complete B Complex is superior to most vitamin B supplements that you’ll find elsewhere. It’s an unbelievable product for increasing your energy, helping you focus, and boosting happiness in people with ADHD or depression. 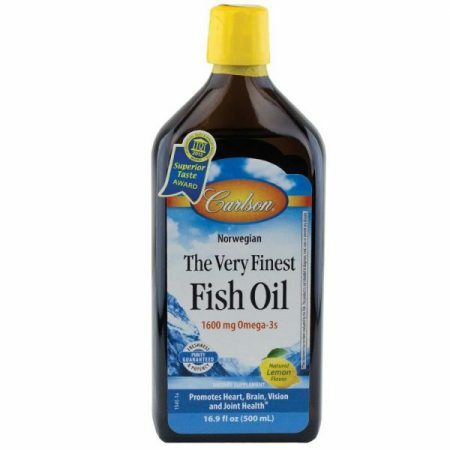 Carlson Labs Liquid Fish Oil (Amazon) is the best fish oil for people with ADHD and depression. Especially if you don’t eat a lot of seafood – then your brain is most likely lacking omega-3 essential fatty acids that can help you feel happier, think more clearly, and possibly even prevent disease. I recommend taking 1 to 2 teaspoons of liquid fish oil daily with meals. You’ll probably start to feel the benefits of fish oil after your first week of consistent use. 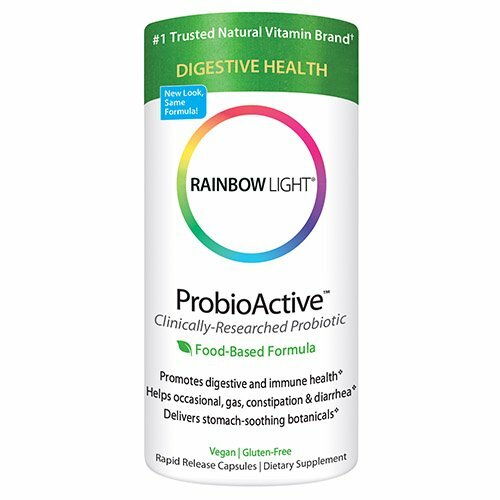 Rainbow Light ProbioActive Probiotic (Amazon) is an essential product for fighting ADHD and depression symptoms. Most people are simply unaware of the powerful relationship between gut health and how well your brain functions. Yes, your gut and brain communicate through neural pathways in your body. This is why you feel a ‘gut reaction’ during moments of extreme stress or danger. However, problems can happen when you don’t eat enough food that’s rich in healthy bacteria like natural yogurt, certain vegetables and raw cheeses. This is exactly why most people with ADHD and depression should be taking a high-quality probiotic supplement every single day. Source Naturals St. John’s Wort Extract (Amazon) is a premium source of St. John’s wort, which is one of nature’s greatest anti-depressant herbs. Many people who suffer from depression and ADHD use St. John’s wort to enjoy a more positive outlook on life. This supplement works by improving your mood over time. If you currently take medication for ADHD or depression, make sure to consult with a physician before using St. John’s wort, as this herb can interact with some medications. If you don’t currently take any medication, St. John’s wort is typically fine to use in moderation (although you may still want to check with your doctor before using St. John’s Wort). NAC Sustain (Amazon) is a premium source of N-Acetyl-L-Cysteine, which is thought to relieve some people of depression, anxiety, OCD, ADHD and similar mental conditions. N-Acetyl-L-Cysteine is actually a precursor to glutathione, which Dr. Mark Hyman considers “the mother of all antioxidants”. Dr. Hyman goes on to explain that glutathione (which is produced by NAC) can help to treat autism and Alzheimer’s disease. This indicates that NAC is capable of healing your brain in powerful ways. People with ADHD and depression can ultimately use small doses of NAC to fight free radicals and limit oxidative stress. This should have an amazing impact on your overall quality of life. 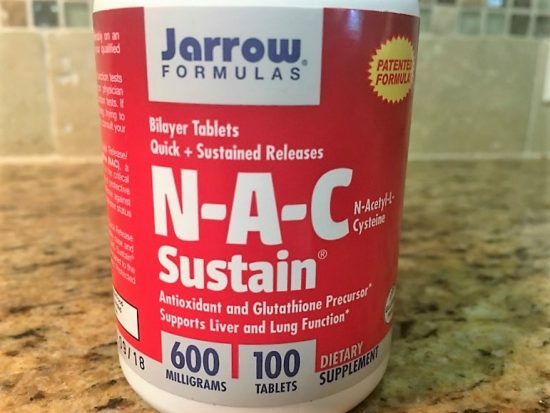 I personally use NAC Sustain a few times per month to detoxify my liver and body. And, I tell all of my friends to do the same. 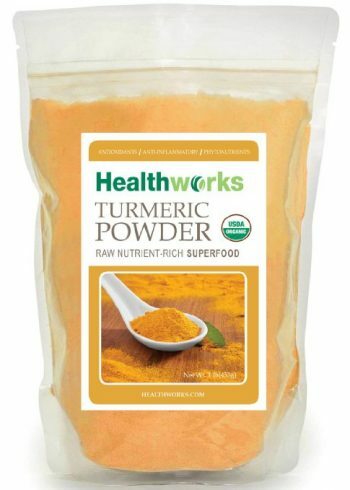 Raw Organic Turmeric (Amazon) is a natural root powder sourced from India that has long been used because it has been known to heal, treat, and in some cases cure serious ailments. The magic of turmeric lies in a compound called curcumin, which becomes ‘activated’ once you add black pepper to your turmeric powder. Curcumin (the active ingredient found in turmeric) is known to be effective at treating some patients with major depressive disorder (MDD). For best results, sprinkle your raw turmeric powder on eggs, brown rice, vegetables, meats or any other food, then simply add black pepper, and enjoy the amazing health benefits. 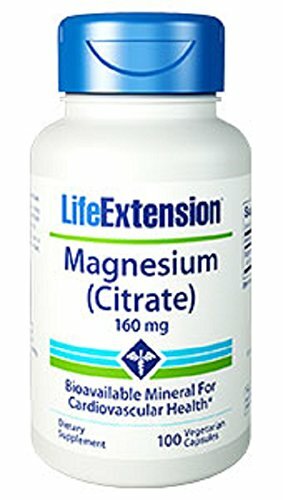 Life Extension Magnesium Citrate (Amazon) is one of my most trusted supplements that I take nightly for ADHD and anxiety. However, magnesium is also referred to as ‘the original chill pill’, and is often recommended for major depression as well. I recommend taking two or three capsules of magnesium citrate nightly. After taking magnesium citrate, you’ll enjoy much deeper sleep, and probably experience more vivid dreams as well. 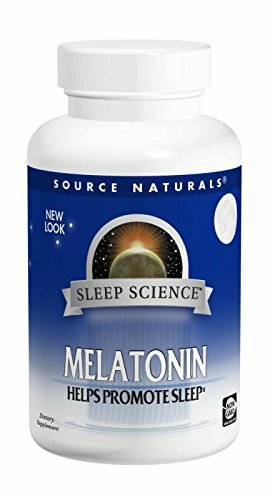 Source Naturals Melatonin (Amazon) is a great source of melatonin, which is a substance that almost everyone with ADHD and depression needs to use for bedtime, at one point or another. Your body actually produces melatonin naturally, since melatonin is a sleep-inducing hormone that’s released at night. But, in people with ADHD and depression, it’s easy for your circadian rhythm to get out of wack. This is why it can be extremely useful to occasionally take melatonin in order to fall asleep more easily. Note: These Source Naturals Melatonin tablets are sublingual tablets. So, you’re actually supposed to place them underneath your tongue, and let them dissolve over the course of a minute or two. 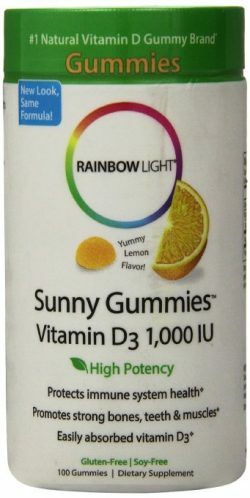 Rainbow Light Vitamin D3 (Amazon) is a tasty product that enables you to supplement with one of the most important vitamins that you’re most likely missing out on. Studies have actually shown that about 75% of American teens and adults are deficient in vitamin D. This is a major problem, because having a lack of vitamin D can actually make symptoms of ADHD and depression worse. When you supplement with an appropriate amount of vitamin D, you’ll be able to think more clearly, enjoy a better mood, and feel all-around better. I personally had to find out that I was deficient in vitamin D the hard way (after I had some blood work done). But, once I fixed my vitamin D problem, I felt unbelievably better. 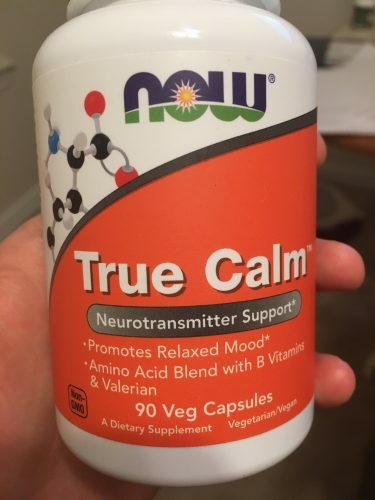 True Calm by Now Foods (Amazon) is an awesome supplement that uses GABA, valerian root, magnesium and other amino acids to instantly calm your mind, and make you feel happier. I like to use True Calm a few hours before bed time, because valerian personally makes me feel a little bit sleepy. But, I know that some people actually use True Calm in the morning and afternoon. So, your results may vary (it’s an excellent supplement regardless of the specific time that you use it). 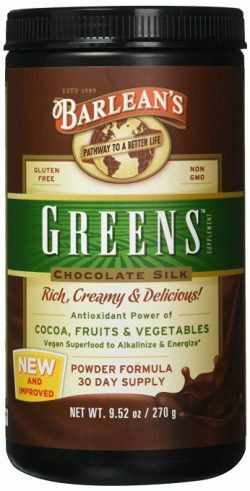 Barlean’s Organic Oils Greens Chocolate Silk (Amazon) is a delicious product that makes it really easy to get plenty of vitamins and nutrients. It also tastes like a chocolate milkshake, and makes it really easy for people with ADHD and depression to eat healthy when cooking isn’t convenient. I started to use Barlean’s Greens after realizing that a lot of vegetables are grown in soil that’s been abused and depleted of nutrients. This is a huge problem that most Americans face. But, Barlean’s Organic Greens makes it easy to guzzle down some high-quality nutrients in an instant. It’s perfect for those who need an easy and natural pick-me-up. 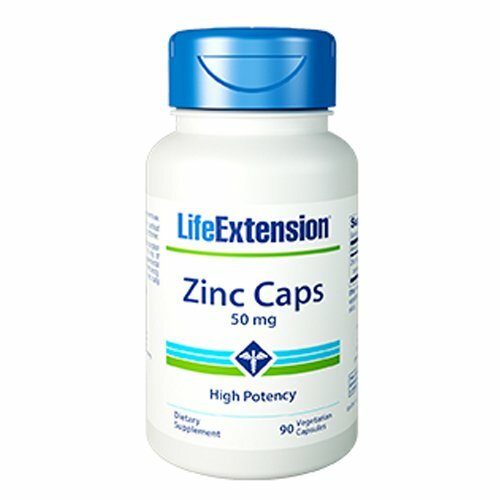 Life Extension Zinc Caps (Amazon) work by fighting impulsivity in people with ADHD, and improving major depressive disorders in those who suffer from depression. People also commonly use zinc to clear up acne, improve their immune system, and increase energy. Zinc is an all-around excellent supplement for people with ADHD and depression. But, make sure to take this supplement with at least a little bit of food. This is because using high potency zinc on an empty stomach can give you nausea. 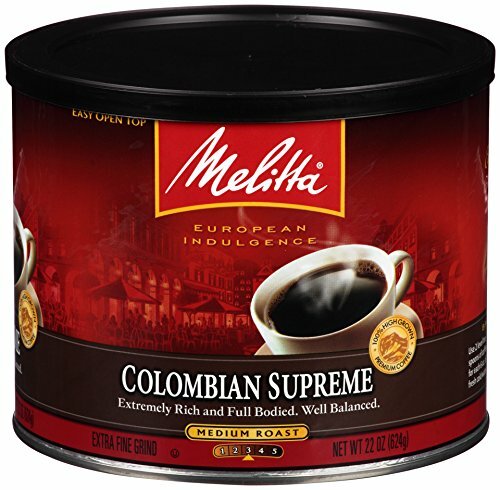 Melitta Coffee (Amazon) is my new favorite coffee of choice because it’s fresh, budget-friendly and tastes extremely clean too. Yes, coffee can absolutely benefit people who suffer from ADHD and depression. For people with ADHD, coffee can temporarily simulate a light dose of amphetamine-based ADHD medication, and help ADHD’ers feel more focused and calm. For people with depression, the caffeine content and antioxidants found in coffee can help to decrease depression. It’s recommended that people with ADHD and depression keep caffeine consumption to 400mg per day, which is about the equivalent of four cups of coffee. 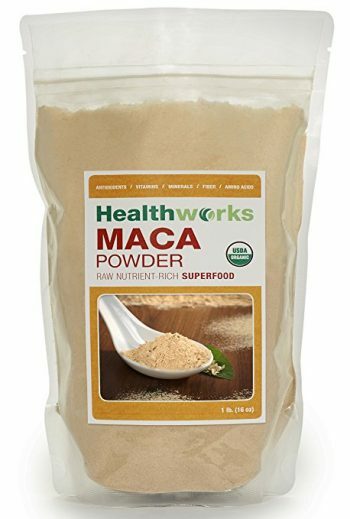 Healthworks Raw Organic Maca Powder (Amazon) is one of the key ingredients that I’ve used over and over again in my life to quickly gain a rush of energy, boost libido, and kickstart my day. Maca Powder is a superfood root ingredient that’s been used in Peru and other parts of the world for thousands of years. It’s packed with protein, vitamins, fatty acids, and many other goodies. While I usually use maca powder before exercising, I know that it’s powerful enough to help other people with ADHD and depression get out of a funk. If you’re having trouble focusing, staying happy, or being active, try some maca root and I bet you’ll feel amazing afterwards. 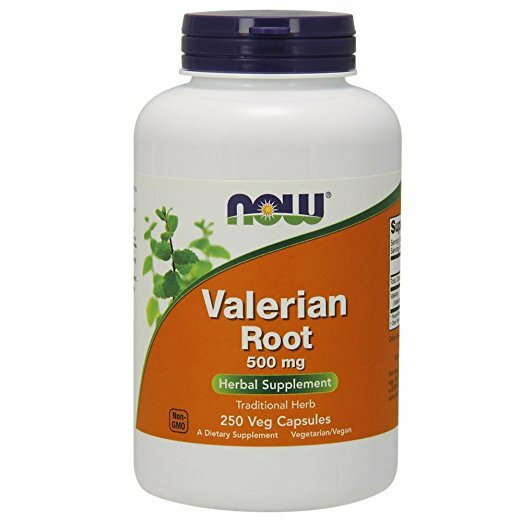 Now Foods Valerian Root (Amazon) is a great herbal supplement that many people use to achieve faster, deeper sleep. But, did you know that valerian root has also been safely used for centuries to lessen anxiety, restlessness, insomnia and various other ailments? Valerian root is believed to increase the amount of GABA in the brain – which causes it to act as a general sedative similar to how common anti-anxiety medications work. Overall, valerian root can be great for helping people with ADHD or depression get a good night’s rest, or even just calm down in the evening. 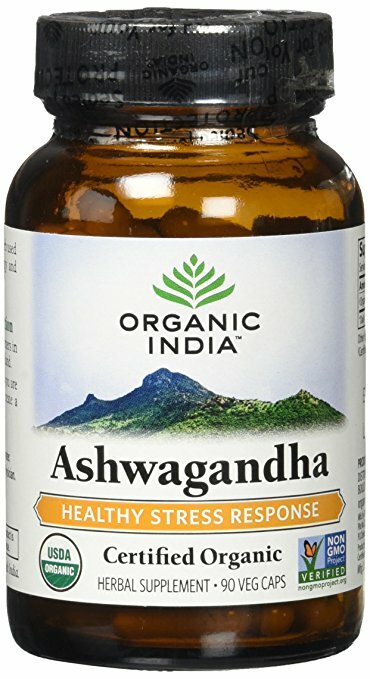 Organic India Ashwagandha (Amazon) is a powerful mood-enhancing herb that works extremely well for ADHD, depression and anxiety symptoms. Keep in mind that ashwagandha has been safely used for thousands of years, and is still used to help people improve their lives to this day. Using organic ashwagandha will most likely provide you with more energy, increased focus, less racing thoughts, and an all-around healthier existence. Fighting symptoms of ADHD and depression is a long-fought battle for many sufferers. I spent 6+ months in a hazy depressive state before I was willing to make serious changes to my life. But, when I was finally ready to make lasting changes, I took advantage of many of the natural supplements listed in this article. Best of all, I still use a majority of these supplements to this day. That’s how I know you’ll truly benefit from using the natural supplements for ADHD and depression listed in this article. You have to take action to improve ADHD and depression. But, you don’t have to go through it alone. By using the supplements and free resources available on ADHD Boss, you can create lasting change in your life. Simply start right now. Put in the work. And, you’ll eventually feel better for a lifetime. Hello! I struggle with ADD and Anxiety. I was wondering what supplements I should use, and/or can I use them all safely together! If so what time of the day is best to take each one? I struggle with ADHD and anxiety too, so I use a bunch of different supplements to help with the symptoms. I’ve actually used all of the supplements listed in this article at one point or another. But, not all at the same time! I recommend starting with just a few basic (but important) supplements like fish oil, vitamin D, magnesium citrate and turmeric. From there, you can start to experiment with what works best for your body. For example, I’ll use N-A-C a few days out of the month to detox my liver and help with anxiety symptoms. Some days I want more energy, so I’ll use a vitamin B complex or Maca powder in the morning. It’s all about figuring out what works best for you. The only supplement on this list that you need to be careful of is St. John’s Wort, because it has some potentially serious interactions with certain medications. Other than that, you should be OK to mix and match. But, it won’t hurt to check with your doctor first, just to stay on the safe side. Hi! I am currently struggling with brain fog and taking Vyvanse 30 mg. For the last 2 years, I’ve been taking it with absolutely no issues with the exception of having a high pulse. The past few weeks I’ve noticed that I’ve become really depressed and my motivation is compleyely gone – even with the Vyvanse. After a few hours, thinking seems almost impossible. It’s like I’ve become immune, but I dont want to up my dosage because 40 mg makes me antsy and anxious. So, I think it’s time to stop taking it. I’m a little nervous about the withdrawal effects because the last time I stopped, I had some pretty rough anxiety. The exhaustion was very overwhelming, too, especially being a SAHM to a rambunctious 4 year old boy. I know I’m going to need to adjust my sleep schedule to allow for more sleep at night, which won’t be a problem, but it’s the daytime need for a 3 hour nap that’s impossible? It was so bad last time I stopped, that I actually fell asleep driving in broad daylight. Any advice on how to handle that? Is that normal? I’ve never really struggled with anxiety or depression before, just ADD and focus. Out of the supplements you listed, what you recommend for ADD and depression? Hi Megan. Thanks so much for your comment. I’m really sorry to hear that you’re struggling with brain fog while using Vyvanse. There are so many factors that play into depression and feeling unmotivated. So, because I want you to experience the very best results, I have to recommend that you chat with a medical professional first and foremost. If you’re interested in natural therapies, for example, then seeing a good naturopath is a great place to start. *Please* chat with a doctor before withdrawing from Vyvanse! Because you’re a SAHM – you’re in an incredibly good position to change your medication regimen (under the guidance of a good doctor). I think that you’ll be able to get the necessary sleep that you need, and make it through this process without too much pain. Obviously falling asleep driving in broad daylight is extremely dangerous, and I really hope you bring that up to your doctor ASAP. That’s going to be a really important thing for you to mention to her! Before you take any supplements, it’s a good idea to make sure that your diet and exercise regimen is on point. Once your diet and exercise regimen is solid, then I recommend using supplements like fish oil, vitamin D3, and ashwagandha. These are the three “basic” supplements that help with brain function and stress levels. You’ll almost certainly feel better after using these 3 supplements. It’s also a good idea to take a high-quality multivitamin, and drink some coffee to help you get through the first few weeks of living life without ADHD medication. Again, please chat with someone who can give you *personalized* medical guidance, because it sounds like you’ll benefit greatly by having some face-to-face support. I truly wish you the best of luck going forward Megan! Once you make it through the first few weeks, life will start to get much better for you. Thanks for your post. I took Vyvanse for binge eating disorder. Trying to wean off it now. Just feeling so tired and depressed. Yeah, Vyvanse can work really well, but it isn’t always a perfect solution. great article. can you advise if these supplements are okay for an 8 year old boy? His ADHD is out of control until his dexmethylphenidate kicks in. I hate using this medication, but we can’t handle him without it. Hi Val. Unfortunately, I can’t recommend anything for an 8 year old boy. In his case, I would really recommend chatting with a great doctor! Wish I could help more. Thanks so much for your comment. Just started out on Vynase 30mg myself, starting to get better mental clarity. However, still noticing some side effects such as confusion and drowsiness. However, I understand it takes time for your body to adjust fully to the meds. Been on it for 10 days now. I’m mainly on the inattentive spectrum and suffer from overthinking. Are there any specific supplements I can take alongside with Vynase, what would work best in your opinion? Hi Thomas thanks for commenting! Would definitely ask your doc about this one because it’s a personal question that depends on your background, medical history, things like that. Wish I could help you out but there are just so many different factors at play. Vyvanse personally helps me quite a lot with inattentive ADHD. I wish you the best of luck either way Thomas.